Things to do in London, ON and the nearest area. All year round, rain or shine - there is always something interesting! Stay tuned and plan your weekends with Casa London! We invite you to join us on Sunday, April 28th at the Spring Merry Makers Fair! A 100% handmade event held in the heart of the Forest City. The Sarnia TALL SHIPS® Celebration, part of the Great Lakes Series, will take place August 9-11, 2019. Private functions will take place on August 9th, followed by public viewing on August 10th - 11th. Bluenose II will lead the fleet of tall ships sailing into Sarnia. Joining the Bluenose II will be the Picton Castle, Empire Sandy, Denis Sullivan, Fair Jeanne and Appledore IV. More ships will be announced in the new year. We're bringing The INKED CIRCUS TATTOO EXPO to London Ontario, Canada Aug 16-18th, 2019. London will be the next chosen destination for the INKED CIRCUS TATTOO EXPO. the London International Tattoo Expo a thrilling weekend for fans of alternative culture. Showcasing a variety of local vendors sharing their organic, holistic, and alternative heath & wellness products and services for an overall healthy lifestyle. You're invited to ignite your senses! It’s not unusual to close your eyes and savour a bite of your favourite dish ... but have you ever consumed an entire meal that way – replacing sight with touch, taste and texture? Based on a restaurant concept popularized in Paris and New York, Dining in the Dark is a signature CNIB event where diners experience a meal without the use of their sight. Participants wear blindfolds for a unique, sensory experience in which they can explore their meal in a whole new way! Aside from excellent food and wine, the evening will also feature a brief information session on wine and food pairings. The Cocktail Show is a cultural demonstration of one of the oldest art forms: Mixology. Cocktails from all over the world will be featured along with the proper tapas and entertainment. Our mission is to highlight the incredible art of mixing spirits with flavourful ingredients. The Cocktail Show will take place on Saturday, March 23rd from 3pm-11pm at Budweiser Gardens in the heart of Downtown London. Attendees will have drinks prepared by world-class mixologists and have the opportunity to discuss different cocktail varieties with brand ambassadors and learn from experts in the field of mixology. Native Plant Workshop: Help pollinators for climate resiliency! Get in the zone with Carolinian Canada - Help local pollinators and contribute to climate resiliency! Spring is just around the corner, and it's time to find out how you can help our local pollinators by contributing to climate resiliency - on your patio, on your balcony, or in your very own backyard! Let’s learn to garden like an ecologist and explore the secrets of native plants. Together we can discover what to plant, where to plant, and how to get started. Celebrate International Women's Day with your favourite women at the London Music Club on Colborne! Hamilton's DJ Donna Lovejoy joins us again with her fun vibes and danceable music. The dancefloor is guaranteed to be packed! We are beyond excited to be collaborating with the amazing people at VRacadia and the London Mindfulness Community to make a long time dream of Archer+Kow a reality! Soul Sound Sundays events will have a focus on mindfulness and nourishing human connections to one another, Universal Consciousness and Self, with an element of sound. Our first event couldn’t possibly be bigger when it comes to sound frequencies. We are excited to be hosting Annette from Modo Yoga in London to bring the chakra healing vibrations of a crystal sound bath to a really cool, new space! A Reiki Practitioner with 25+ years experience, 9 years as a Thai Yoga Massage Therapist and over 15 years as a Yoga Instructor, Annette’s crystal quartz singing bowls emit the perfect healing sound frequency for each of our 7 Chakras. The meditation will combine the sound bowls and relaxing Yin Yoga poses for an incredibly unique meditation experience. Participants can expect to be with us until 8pm, as the 90 minute session with Annette begins promptly at 6pm and goes until 7:30pm. Spaces are limited and $40+tax tickets can be purchased online by clicking the eventbrite link below. As this is a ROAD TO GOOD VIBES ONLY FESTIVAL 2019 event, happening April 19-20, each ticket purchased enters you into a raffle to win TWO weekend passes to this awesome local music and arts festival! Longwoods Road Conservation Area will be offering Family Day snowshoe rental, weather permitting, on Monday afternoon, February 18th! The smell of a wood fire attracts you to the heritage log cabin where inside around the woodstove, hang dozens of wood and rawhide traditional style snowshoes. Friends and family are invited to try out snowshoeing, one of the oldest forms of winter travel! Good Vibes Only Festival 2019 (aka #GVOFest2019) is a two-day multi-sensory festival experience with two stages of non-stop music, live painting, local craft vendors, fantastic art displays, and all sorts of other festival awesomeness!! This year we're taking over every room of London Music Club to transform it into a magical wonderland for you and your friends to experience! It’s that time again! We hope you will join us here at Childreach (265 Maitland Street) on Friday, February 1 for our 14th Annual Soup & Chili Lunch between 11:30 a.m. and 1:30 p.m. As always, it is all-you-can-eat soup and chili for a minimum donation of $10 to Childreach. Bring your friends, family and co-workers! We can’t eat it all by ourselves. The 1960/1970s saw the greatest Jazz artists of that time taking classic Beatles tunes and reimagining them as Jazz standards. Moving forward into the 21st century with fresh ears, Jazz musicians are turning their focus now to English greats “Radiohead”. The Peter Karle Combo brings a selection of Radiohead’s classics to The Aeolian in a unique Jazz combo setting. With this great setup, Radiohead gone Jazz is “Everything In It’s Right Place”. The Peter Karle combo is a powerhouse of young, London Jazz musicians consisting of: Peter Karle (Guitar), Marsh Bindseil (Trumpet), Adam Lamoureux (Tenor Saxophone), Tony DeLuca (Alto/Baritone Saxophone), Luke Roussy (Trombone), Andrew Kosty (Upright/Electric Bass) and Mark Swan (Drums/Percussion). Arrangements will shift between some of Jazz’s current leaders such as Brad Mehldau, Amnesiac Quartet, Max Haymer and arrangements by Peter Karle and Mark Swan. Fresh off of covering all of Miles Davis’ “Kind of Blue” at The Aeolian in February 2018, the connection between this young London combo keeps growing stronger. Shifting gears from the raw intensity of Radiohead’s early sounds to their later, lush studio subtleties, the combo is excited to share this adventure with The Aeolian. The London Wine and Food Show, presented by White Oaks Mall returns with MORE food, wine & entertainment than ever before. This is a FREE Event. RANKED AS ONE OF THE TOP PLACES TO RING IN THE NEW YEAR IS NIAGARA PARKS’ QUEEN VICTORIA PARK IN NIAGARA FALLS! Each year as many as 40,000 people pack the park just steps from the mighty Falls to celebrate New Year’s Eve with a huge outdoor concert. 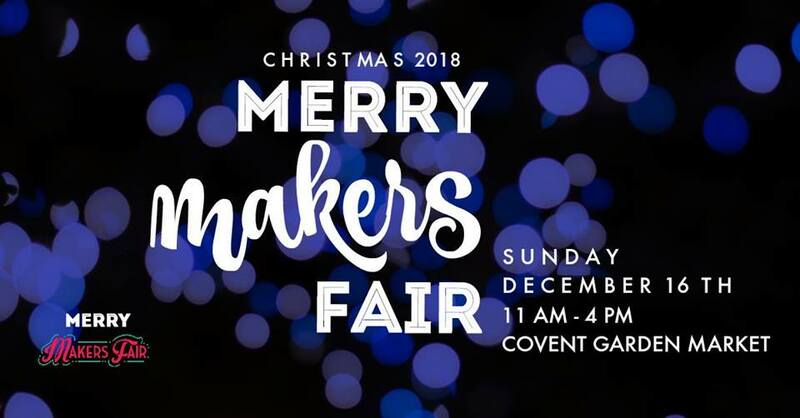 Here you'll find some of the best handmade shopping around, from Art, Home Decor, Jewelry, Clothing, Bath and Beauty products - everything you need to finish your Christmas list, and support local at the same time! Listen to the beautiful sounds of Christmas as the New Horizons band performs from 10am-1pm. Sample hours are from 4pm-7pm with the Christmas Night Market remaining open until 9:30pm. Be sure to join us for the 11th Annual Cookie Walk, hosted by The Kilworth United Church. Fresh baked cookies, squares, homemade art and more! This year, be sure to bring costume jewellery, as we will be donating it towards "My Sister's Place". Starts at 9am until sold out, come early! Get all your homemade baked goods for the festive season, without the work! Every 1st Tuesday each month come down to London Brewing with a horn in your hand and a song in your heart! Tickets are available now online at www.aeolianhall.ca/events. $25 in advance. $30 at the door. Meet the local artists and crafters that create the work in our gift shop. New seasonal work from local artisans will be featured alongside the one-of-a-kind items we carry all year round. This is the perfect chance to get your holiday shopping done! Our annual Christmas Concert featuring Wesley-Knox Senior Choir, Denise Pelley and Steve Holowitz and our Junior and Mysterium Choirs! Tickets available soon, buy them early as this concert often sells out! Spectra Venue Management is pleased to announce that Budweiser Gardens will once again host its Annual Open House Skate, as part of its toy drive this holiday season. The Open House Skate will take place on Saturday, December 1st from 3:30pm-6:30pm. Toy and cash donations will be accepted at the door. Fans are being asked to enter via Gate 4 and enjoy an afternoon of free public skating at the arena. This campaign marks the tenth consecutive year that Budweiser Gardens has launched a Toy Drive each winter, tallying donations of over $50,000 to local children’s charities since 2008. This year all toys and cash donations will go to support the London Children’s Aid Society.